Dominica, officially the Commonwealth of Dominica, is an island nation in the Lesser Antilles region of the Caribbean Sea. Nicknamed the “Nature Isle of the Caribbean”, for its unspoiled natural beauty, it is the youngest island in the Lesser Antilles, still being formed by geothermal volcanic activity. The island is largely covered by rainforest and has lush mountains, home to many rare plant, animal, and bird species. 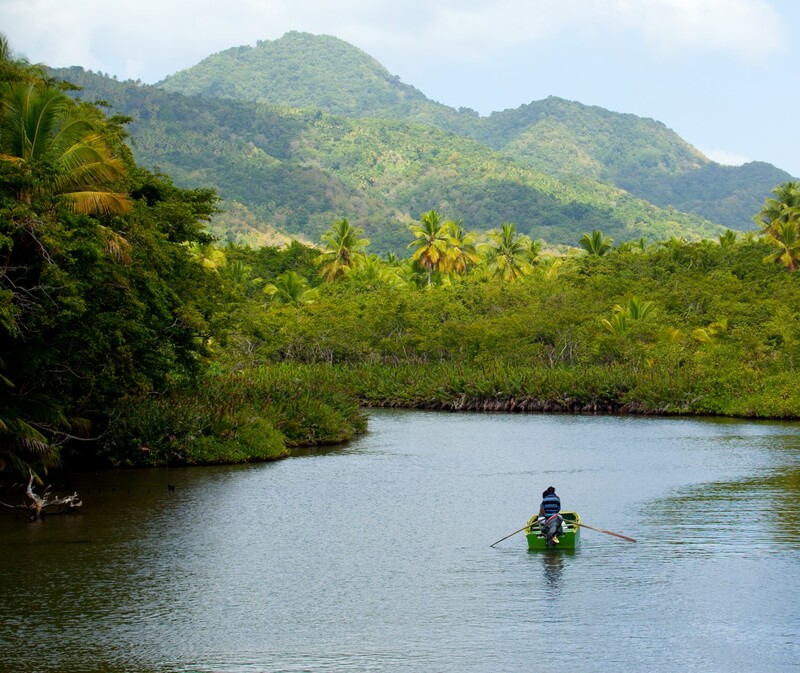 Dominica offers much more than a stunning nature adventure. Its rich culture is a blend of English, French, African, and Carib peoples. Colorful costumes, music, and pageantry are on display at a host of celebrations. Still mostly untouched from the commercial world it is a hint of the real Caribbean complete with smiling happy faces. Although not fringed with white sand beaches, large casinos or an array of all-inclusive hotels, what you will encounter is truly breath-taking. Dominica is a unique ecotourism destination and offers easy access to an array of magnificent waterfalls, rich black sand beaches, luscious, natural beauty, and the luxury of feeling you have stumbled upon your own private island paradise, still unspoilt and prestine. Enjoy hiking, river tubing, bird watching, canyoning, mountain biking, horseback riding, ATVing, snorkeling, scuba diving, sport fishing, relaxing in thermal springs, kayaking, whale and dolphin watching, zip-lining, and yoga. In Dominica the sea below is as amazing as the land above. The underwater topography mirrors the beautiful landscape above, with canyons and cliffs plunging to depths equal to the soaring mountain peaks above. Massive underwater boulder fields and volcanic craters accompany steep walls and pinnacles, setting the stage for some of the most breathtaking diving to be found. With volcanic vents and plunging sea walls, Colorful reefs and soft corals, Sea turtles and sperm whales the waters a Dominica have something for everyone.